Frequency and depth of breast examinations will be determined through shared communication with your physician. At this time, no data exist regarding the ideal age at which to begin clinical breast examinations in the asymptomatic, low-risk patient. Expert opinion suggests that the value of clinical breast examination and the ideal time to start such examinations is influenced by the patient’s age and known risk factors for breast cancer. 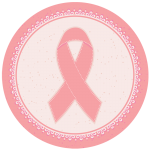 The occurrence of breast cancer is rare before age 20 years and uncommon before age 30 years. Based on available evidence, the College, the American Cancer Society (ACS), and the National Comprehensive Cancer Network recommend that clinical breast examination be performed annually in women aged 40 years and older. Although the value of a screening clinical breast examination for women with a low prevalence of breast cancer (eg, women aged 20–39 years) is not clear, the College, ACS, and the National Comprehensive Cancer Network continue to recommend clinical breast examination for these women every 1–3 years. All three organizations also recommend the teaching of breast self-awareness and inquiry into medical history and family history of risk factors for breast disease. Breast self-awareness educates patients about the normal feel and appearance of their breasts. For many patients, breast self-awareness also may include performing breast self-examinations. Both methods have the potential to alert the patient to changes in her breast that should be reported immediately to her physician and may lead to earlier detection of breast cancer.